A daughter who has come to imagine the worst about her mother learns the facts are quite different -- and more shocking than she ever imagined -- in this adaptation of Stephen King's best-selling novel. 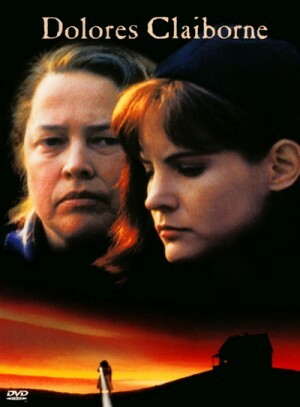 Dolores Claiborne has spent nearly a quarter of a century looking after a mean-spirited woman named Vera Donovan on a small island off the coast of Maine; when Vera is found dead after falling down a flight of stairs, Dolores is considered a prime suspect in her murder. Word of the affair reaches New York-based journalist Selena St. George, Dolores's estranged daughter. Though she's about to leave on an important assignment, Selena instead flies to Maine to find out what's happened with her mother. Selena's father, Joe St. George, died under mysterious circumstances 15 years before; more than a few people believe Dolores killed Joe, and many feel she did the same with Vera. Though the strong and tough-talking Dolores stands her ground, police detective John Mackey is convinced that there's more to her story than she's letting on, and in time Selena learns the ugly truth about her mother's connection to both deaths. This was Kathy Bates's second starring role in a film based on Stephen King's work; she earned an Academy Award for her breakthrough role in the movie version of King's Misery.